This article by me was first published on ‘The Liverpool Way’ webiste. All of us think we’ve cornered the market on reality. Our viewpoint is true, we know what we saw, we are certain about what we heard. Seems logical, right? If you can see it, touch it, hear it, it’s real, except, it’s not really that simple. Anyone, who has gone to the pub after a game, will know that it is perfectly possible for two people to watch the same player in action, but have two different versions of ‘reality’. In one he was a world-beater, in the other abysmal. It’s a problem that has troubled history’s scientists, philosophers and artists. Einstein said that reality was merely a persistent illusion. Neitzsche doubted the existence of facts, stating there are only interpretations. Psychologists have demonstrated, time and again, that people tend to see what they expect to be there, not necessarily what is actually there. Lennon was a bit more emphatic and came up with the title to this article. Interestingly, the same issue has been troubling Merseyside’s football journalists. Recently, a fight, or spirited debate, depending on your version of reality, broke out on twitter, over the relative merits of print versus broadcast media. According to LFCTV’s Peter Mcdowall, when it comes to revealing the inner workings of a player’s mind, you cannot beat television interviews. He was referring to the channels decision to air a programme, which gives Michael Owen the chance, in a one hour long show, to share his version of history, as it relates to his association with our club. Given the lack of esteem the former number ten is held in, it is an interesting programming choice. In response to a barrage of tweets concerning the show, McDowall chose to get behind the idea with a somewhat provocative tweet. “Loads of tweets re Michael Owen, it’s where newspapers can never compare to TV, looking into someone’s eyes beats print any day of the week”, he said. The tweet was immediately, and predictably, jumped on by the regions print journalists. Fortunately, peace, or an uneasy truce is now in place. But who is right? James Pearce waded in accusing his colleague of sweeping generalisations, and strange statements, while Dominic King talked of painting pictures with words. Tony Barratt, who had already taken a swipe at the idea with an earlier tweet: “Liverpool doing a Michael Owen documentary. They should’ve filmed him in a half & half scarf so MUTV could buy the show”, re-entered the fray by pointing out that McDowall had made his career in radio, and was now trumpeting the value of pictures. It’s easy to have sympathy with McDowall’s argument. After all, if you read an interview in a newspaper, you do so through the writer’s own lens. Regardless of their integrity, every writer (in fact you could say every human being) has biases. They may not even be aware of them. Equally, they may perceive emotions or intentions that simply aren’t there. The very questions they ask may be loaded with their own prejudices, and all of this is before the editor gets their hands on the piece and spins the headline their own way. The reader can’t look into the players’ eyes and tell which bits are true, and which are fabrications. Surely with television it’s totally different. Or is it? It might be if the interview is live, but even then the interviewee may have been given a heads up regarding the questions. They have time to construct their answers, showing themselves in the best light. Who wouldn’t? The questions themselves set the agenda. They are decided by the producer, director or interviewer, not always by the viewer. Assuming they are all human, they will also have their own biases. A Nixon tapes-style interview, complete with awkward pauses and stammers would possibly get us closer to the truth. It doesn’t necessarily make the best television though. If the interview is recorded, it will undoubtedly be edited before it is broadcast. So, we now find ourselves in the same awkward territory as the print trade. If television does get us closer to objective reality, it’s not by much in my opinion. Both have value. Both can inform and entertain. I agree with Tony Barrett in this respect. I haven’t got round to it yet, but I will try to watch the interview with an open mind, but it is inevitable that my own bias’ will get in the way. 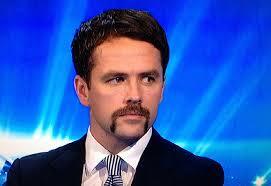 After all, Michael Owen was always more concerned with, well, Michael Owen than with anything else, wasn’t he? This interview is nothing more than a cynical charm offensive. He let Rafa down twice. First, he left for Madrid, leaving the club with a pittance. He did it again by snubbing us for Newcastle. Then, he betrayed us all by choosing to join the enemy, instead of joining Stoke City, like a good boy. Sadly, he probably doesn’t stand a chance of changing my view of him. That’s my reality. What’s yours?